Home » Politics » Controversial Smriti, firebrand Yogi or motormouth Mahesh. Who'll be BJP's face in UP? Controversial Smriti, firebrand Yogi or motormouth Mahesh. Who'll be BJP's face in UP?
. @smritiirani or @dr_maheshsharma, who will make a better CM candidate for BJP in UP? Who are the other probables? Whom will the RSS back? 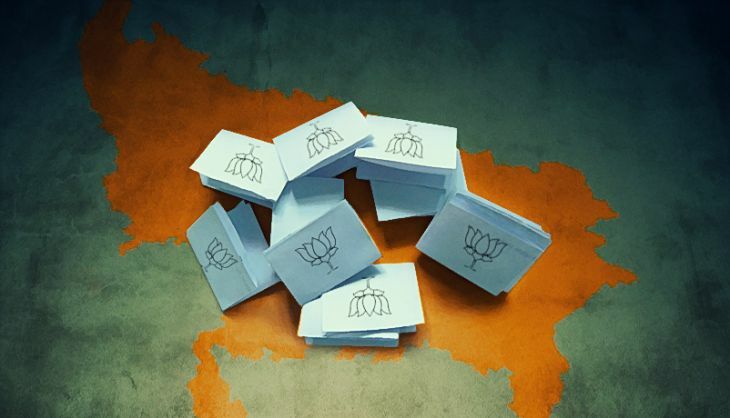 BJP seems to have learnt its lessons from its humiliating defeats in Delhi and Bihar. The party has already gone into election mode in Uttar Pradesh. Though elections are due only next year, the BJP's top leadership has begun its preparations. It may not rely solely on Prime Minister Narendra Modi's charisma in India's politically most important state and might announce its chief ministerial candidate for the elections. Political observers are terming the ensuing electoral battle of UP as the "semifinal" for the 2019 Lok Sabha polls. Amit Shah will be under pressure to repeat the performance of the 2014 general elections, in which the BJP and its allies won 73 out of 80 seats. Modi's reputation will also be at stake in these elections as he represents the state's high-profile constituency of Varanasi. The Modi-led BJP has fought most state elections without announcing its leader beforehand. It departed from the norm during the Delhi polls. However, party's strategy to pitch Kiran Bedi against Arvind Kejriwal backfired badly. But it might have to project a face in UP and the search for probables within the party has begun. There is speculation that Union Human Resources Development Minister Smriti Irani might emerge as the party's ultimate choice for the post. Several other leaders like Mahesh Sharma, Swatantra Dev Singh, Yogi Adityanath, Laxmikant Bajpai and Kalyan Singh are said to be among the contenders. BJP sources claim the party may eventually project an upper caste leader as its CM-designate. This could be compensated by elevating a backward caste leader as president of the party's state unit. Here are some of the contenders. 40-year-old Smriti Irani has been a member of the BJP since 2003. She was elected as Rajya Sabha MP in 2011. Considered one of Modi's close associates, Irani lost the Amethi Lok Sabha seat to Congress Vice-President Rahul Gandhi in the 2014 elections. However, this did not diminish her clout and Modi included her in his Cabinet. Irani is known to be on good terms with the Sangh leadership as well. This is the reason she presides over the ministry that is crucial for the RSS. The firebrand leader has not lost her connection with Amethi, despite losing the election. She visits the constituency regularly, thereby remaining in touch with UP. When asked whether party is going to project her as the CM candidate, Irani replied, "Our party respects its grassroots workers. I am also a humble activist of the party. I will follow the orders of the party leadership like any other disciplined worker." Yogi Adityanath is one of the most prominent BJP leaders in the Poorvanchal region. The firebrand leader has represented the Gorakhpur Lok Sabha constituency since 1998. Adityanath is considered a perennial CM hopeful by many political observers. Known for his hardline Hindutva brand of politics, Adityanath is back in contention for the top post. He recently found support for his candidature from the Bharatiya Sant Sabha. The leaders of the Sabha tacitly pitched Adityanath as the best suited man for the top job during its recent meeting at the Gorakhnath Temple. 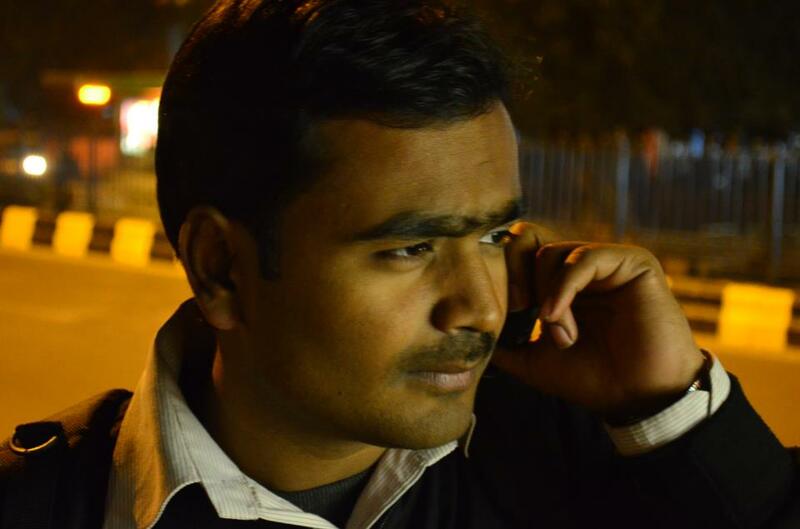 "The Sant Sabha wants to see a young leader as the next Chief Minister. The person should be someone who talks about Hindutva and development," said former Union Minister Swami Chinmayananda, who was present during the meeting. A doctor by profession, Mahesh Sharma is also among the PM's trusted men. He successfully contested the last Lok Sabha elections from Gautam Buddha Nagar. Modi entrusted him with the responsibility of the Ministry of Culture, another important ministry in the RSS' scheme of things. He has hit the headlines for his controversial remarks in recent times. His vitriol after the Dadri lynching incident drew flak from the opposition and the media but won favors from RSS quarters. Some see Sharma's diatribe as a deliberate ploy to get in reckoning for the top job in UP. There is speculation that RSS is pleased with his performance as Union Minister. Sharma has been quite active in UP affairs of late. Laxmikant Bajpai is a 4-time MLA from Meerut. He is a Brahmin, a caste which has been a traditional votebank of the BJP. He has an excellent track record in the organisation. Bajpai is considered to be close to Union Home Minister Rajnath Singh. His current term as the state unit president has ended and speculations are rife that he might be replaced by a Dalit or a backward caste leader. "He is a grassroots leader. He has been quite active during his tenure as the state president. He can be a real alternative to Akhilesh Yadav in 2017," says a senior state BJP leader on the condition of anonymity. Dharampal Singh has represented Aonla constituency for 3 terms. He is BJP's first choice among backward caste leaders. Singh wields considerable influence among his Lodh community. Having served as a minister under Kalyan Singh, Ram Prakash Gupta and Rajnath Singh, he has a long experience of governance. Singh is currently deputy leader of BJP in the state assembly. He is also a strong contender for the post of state president. Apart from these leaders, BJP's state general secretary Swatantra Dev Singh is also in the race. He also belongs to a backward community. There is a general consensus among the state party leaders that BJP must declare its CM candidate well before the elections. But, the moot question is who will win the confidence of Narendra Modi and Amit Shah in the end? And secondly, will the nominee be able to take on the might of Akhilesh Yadav and Mayawati? निखिल बिहार के कटिहार जिले के रहने वाले हैं. राजनीति और खेल पत्रकारिता की गहरी समझ रखते हैं. बनारस हिंदू विश्वविद्यालय से हिंदी में ग्रेजुएट और आईआईएमसी दिल्ली से पत्रकारिता में पीजी डिप्लोमा हैं. हिंदी पट्टी के जनआंदोलनों से भी जुड़े रहे हैं. मनमौजी और घुमक्कड़ स्वभाव के निखिल बेहतरीन खाना बनाने के भी शौकीन हैं.